LYTEL & LYTEL, LLP represent Registered Investment Adviser Representatives in the state of California who have received a Department of Business Oversight ("DBO") complaint inquiry, or some form of California DBO letter of investigation. While there is currently a huge pool of Investment Representatives in California to regulate (approximately 54,000), the DBO investigators nonetheless remain committed to vigorously protecting the public from allegations of unethical and fraudulent investing activities. The California DBO is charged with ensuring that the California's financial services market is secure, fair and transparent. Diana P. Lytel is uniquely qualified as a defense attorney to oversee the CFA Institute Professional Conduct legal group given her work within the National Association of Securities Dealers (now FINRA), her experience in the Investigation Division at the Department of Corporations (Department of Business Oversight) and her tenure with Morgan Stanley's litigation department. Her specialized legal background with allegations of complex violations has been a great asset to our clients facing regulatory investigations. Ms. Lytel is recognized for her legal excellence by Super Lawyers® and with an AV Rating by Martindale-Hubbell®, the highest Preeminent "5.0/5.0" attorney rating in her profession. 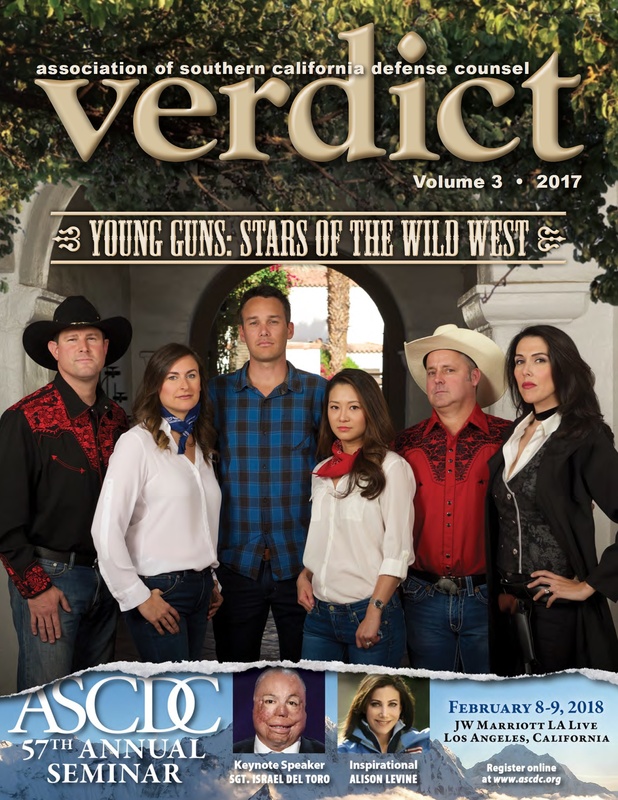 In 2017, she graced the cover of Verdict Magazine titled "Young Guns: Stars of the Wild West" where Ms. Lytel was featured on multiple pages. She consistently demonstrates leadership in her legal profession by holding both Executive & Board of Director positions with prominent law organizations, while also being appointed to Chair several of the Board's Committees. The majority of California DBO investigations begin with the filing of a consumer Complaint. However, California DBO Investigations also occur through sting operations, criminal conviction referrals and criminal investigations. The DBO utilizes non-sworn civilian investigators to conduct non-criminal investigations. The DBO also employs sworn Peace Officer Investigators to conduct criminal investigations against Licensees. California DBO regulatory inquiries or investigations are typically handled with a written inquiry to the Licensee. Receiving a letter from California regulators asking for information can seem somewhat innocuous to Adviser Representatives. Unfortunately, these letters often mark the beginning of a very long and possibly detrimental series of events for Representatives. These letters typically do not raise alarm because they appear very straight-forward and make no mention of the gravity of the situation, but can end in disclosures, suspensions, fines, and possible barring from the industry. Due to the high-stakes involved, it is vitally important to respond promptly, consistently, and with a high degree of precision. A Registered Investment Advisor Representative should consider having legal counsel at every point in this process. The best opportunity to resolve any potential misunderstanding, or to properly defend yourself against allegations is at the initial inquiry stage. Therefore, our specialty is on advising on early-stage California DBO responses where we look to mitigate the professional liability damage before the matter escalates. California DBO Rule Code 25531, among other things, requires licensed individuals to provide materials requested by the DBO so they may "inspect and copy" such materials. More specifically, this Rule applies to the "books, records, and accounts" which are in the member's "possession, custody, or control." This Rule provides substantial leverage used by regulators against advisors. As shown in their annual enforcement statistics and Disciplinary Action reports, incomplete responses or failure to respond to such requests is interwoven into numerous suspensions, fines, and disbarments of Investment Representatives each year. Rather than relying upon advice from a firm's compliance department who are tasked with looking out for their interests, it would be wise to consult with your own defense attorney. At the conclusion of a DBO investigation, the California Department has several options. The Department can choose to close the Complaint. The Department can choose to issue a Citation. The Department can also choose to refer the matter to the California DBO Legal Enforcement Office. The DBO Legal Enforcement Office will determine whether cause exists to file a formal disciplinary Accusation. In cases involving criminal conduct, the Department may refer the case to the District Attorney’s Office for criminal prosecution. A formal Accusation served on a California DBO licensee serves as notice to a licensee that the Department intends to revoke the license. The licensee, now called the Respondent, has only 15 days from the date that the Accusation was served (not received, but served) to file a Notice of Defense. The failure to file a Notice of Defense results in a Default against the licensee. A Default will result in the immediate Revocation of the license. An Accusation is a serious matter that can result in the suspension or revocation of a DBO License in California. In many cases, it is possible for Licensees to reach a Stipulated Agreement with the DBO Legal Enforcement Office and the California DBO. A Stipulated Agreement is a formal term for a settlement agreement. If a Stipulated Agreement cannot be reached, the parties will proceed to a formal Hearing before the California Office of Administrative Hearings (OAH). Licensees facing a California DBO Accusation should contact an experienced California Department of Business Oversight License Defense Attorney for representation. The law and rules governing investment advisers in California are found under the California Corporations Code (“Code”) and Title 10, Chapter 3, California Code of Regulations (“CCR”), respectively. The sections of the law that relate specifically to broker-dealers and investment advisers begin at §25200. The other sections of the law relate to general securities law. It might be prudent to contact us if you received a letter from the California DBO, even if only to provide piece-of-mind that you are adequately responding to requests from FINRA or State regulators. You have worked too hard to allow a regulatory agency's request spiral into a situation that will cripple your career. (a) The commissioner in his discretion (1) may make such public or private investigations within or outside of this state as he deems necessary to determine whether any person has violated or is about to violate any provision of this law or any rule or order hereunder or to aid in the enforcement of this law or in the prescribing of rules and forms hereunder, and (2) may publish information concerning any violation of this law or any rule or order hereunder. (b) In making any investigation authorized by subdivision (a) of this section, the commissioner may, for a reasonable time not exceeding 30 days, take possession of the books, records, accounts and other papers pertaining to the business of any broker-dealer or investment adviser and place a keeper in exclusive charge of them in the place where they are usually kept. During such possession no person shall remove or attempt to remove any of the books, records, accounts, or other papers except pursuant to a court order or with the consent of the commissioner; but the directors, officers, partners, and employees of the broker-dealer or investment adviser may examine them, and employees shall be permitted to make entries therein reflecting current transactions. (c) For the purpose of any investigation or proceeding under this law, the commissioner or any officer designated by him may administer oaths and affirmations, subpoena witnesses, compel their attendance, take evidence, and require the production of any books, papers, correspondence, memoranda, agreements, or other documents or records which the commissioner deems relevant or material to the inquiry. (d) In case of contumacy by, or refusal to obey a subpoena issued to, any person, the superior court, upon application by the commissioner, may issue to the person an order requiring him to appear before the commissioner, or the officer designated by him, there to produce documentary evidence, if so ordered, or to give evidence touching the matter under investigation or in question. Failure to obey the order of the court may be punished by the court as a contempt. (e) No person is excused from attending and testifying or from producing any document or record before the commissioner, or in obedience to the subpoena of the commissioner or any officer designated by him, or in any proceeding instituted by the commissioner, on the ground that the testimony or evidence (documentary or otherwise) required of him may tend to incriminate him or subject him to a penalty or forfeiture; but no individual may be prosecuted or subjected to any penalty or forfeiture for or on account of any transaction, matter, or thing concerning which he is compelled, after validly claiming his privilege against self-incrimination, to testify or produce evidence (documentary or otherwise), except that the individual testifying is not exempt from prosecution and punishment for perjury or contempt committed in testifying.